Our pick of the best London exhibitions to see right now — get your dose of culture indoors, away from the cold. We've roughly split the list by London regions to make it easier to navigate, and we've also taken a rare step outside London. Photograph by Benjamin Westoby. 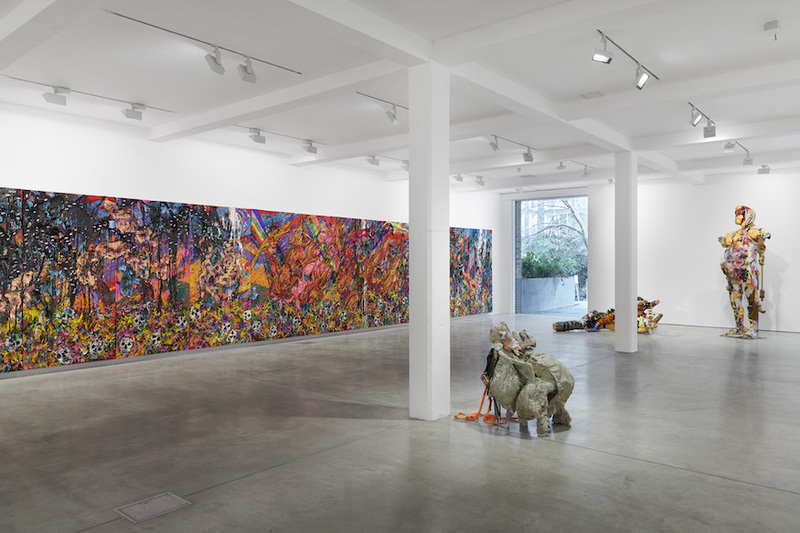 Courtesy of Parasol unit foundation for contemporary art. 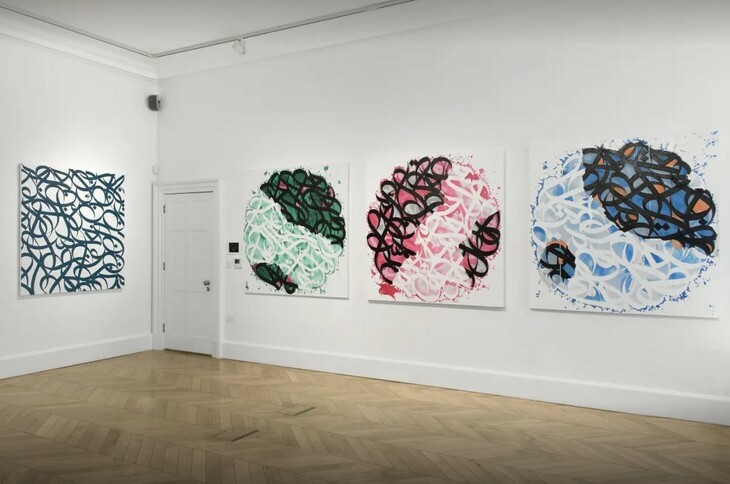 CUDDLY TOYS & EXPLETIVES: Massive bright coloured paintings fill the gallery, attacked with vigour in a show filled with both positive and negative emotions. Quirky and cute sculptures are made from cuddly toys, while upstairs boxing gloves with expletives written on them form an intimidating snaking sculpture. Most impressive is a sixteen piece 'mural' that stretches across an entire wall — it's pure visual and textural candy and in contrast to her work that exclaims 'he who breathes lies will perish'. These visually stunning works take you on a wild roller coaster of emotions. © Joe Maher, Getty Images. GAMING MEMORIES: Artist Daria Martin's grandmother fled the Nazis from the former Czechoslovakia. Using her diaries, Martin recreates her life through both a film and a play-through of video game. Follow the avatar of the video game in first person mode as they find toys that unlock Martin's grandmother's memories. It's an innovative and surreal approach to connect with the past. The fragmented nature of both films fits neatly with the idea of pulling together a life without having all the information available. The rest of the Curve space adopts a similarly fragmented approach with diary pages on a wall that's out of sight and toys perched up high. Image courtesy Ben Brown Fine Art. DOWN THE RABBIT HOLE: A massive hare stands at the head of a table, seemingly hosting a tea party where a fluffy sheep and a cabbage with legs are guests. If that's not surreal enough a giant metal cricket that doubles as a wine cooler looks on and a hole in the wall reveals an oversized tin of sardines. 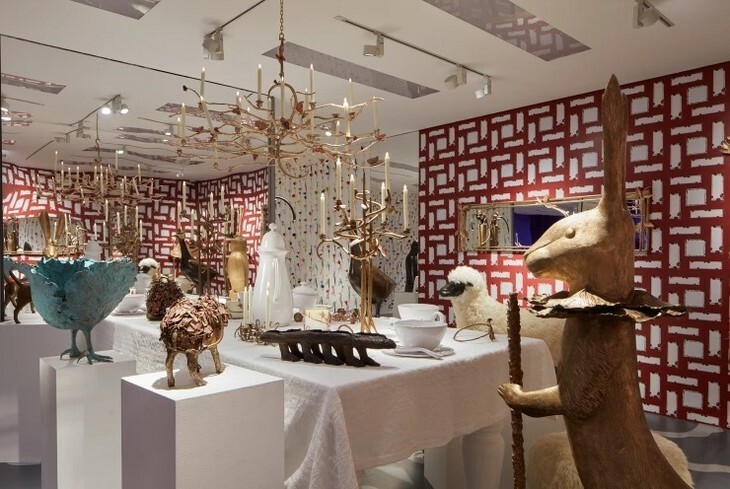 Head down the Mayfair rabbit hole and enter this surreal mix of art and interior design by Claude and the late François-Xavier Lalanne in a fantastical exhibition. STREET CALLIGRAPHY: Artist El Seed merges beautiful Arabic calligraphy and the explosive style of street art. A normally black and white medium receives an injection of colour. A language used to set out rules, meets an art form that evolved from breaking the rules. 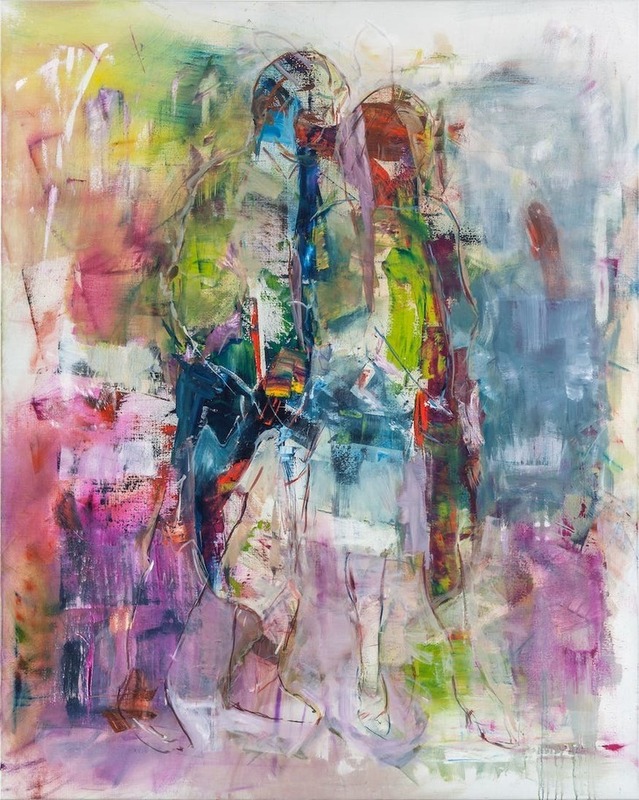 The artist merges two vastly different mediums to create these intricate and attractive works. 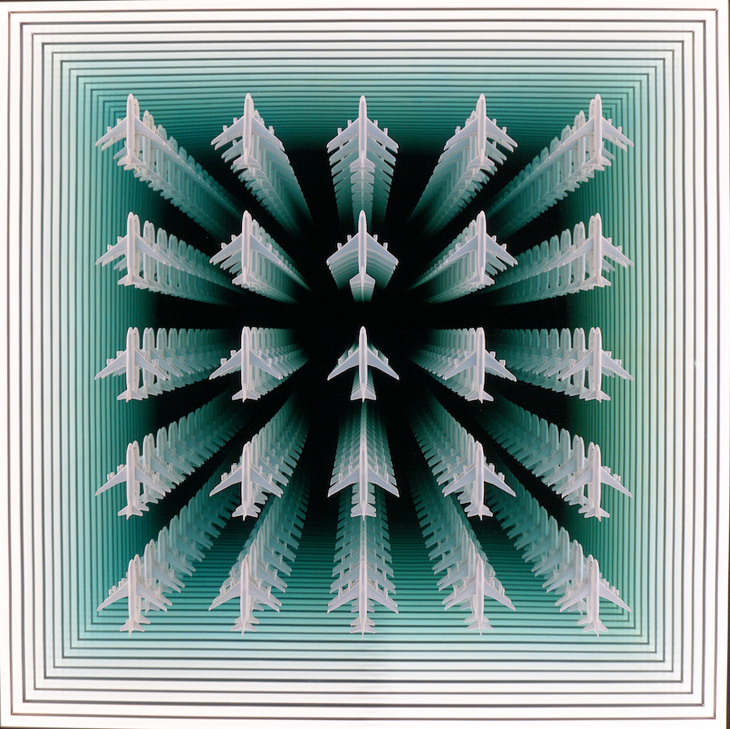 STACKS OF PLANES: We see our reflection in a mirrored work populated by planes — it momentarily make us think we're trapped in infinite stacks of planes. Further luxury items are distorted as if we've caught them at the moment they break apart. 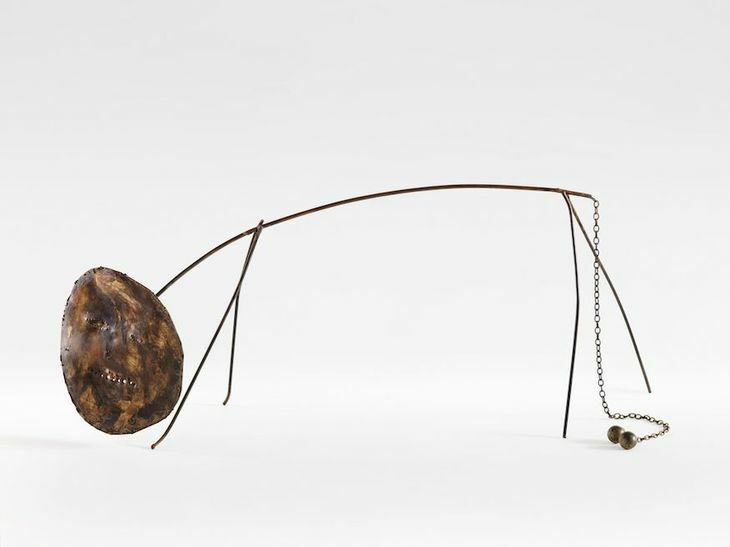 It's an engaging exhibition where the works fool our eyes in varying degrees of subtlety and reinforces the idea that all possessions are fleeting. BRICKS & FISSURES: It's like someone dug up a chunk of earth and stuck it on the wall. These black and white paintings looks so natural they beg question whether any human element was involved at all. 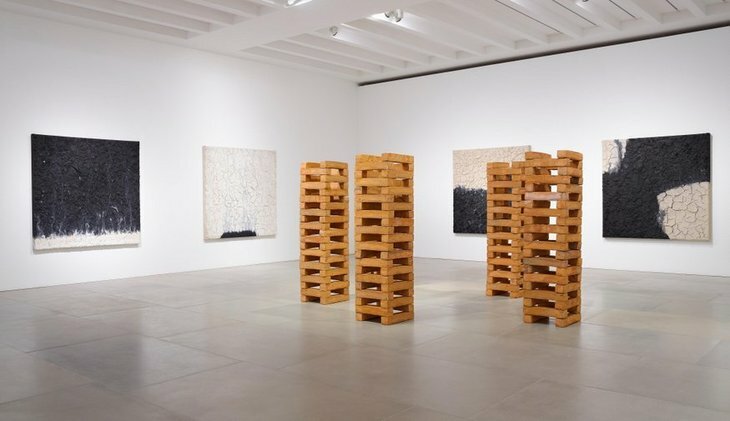 Artist Bosco Sodi uses natural processes to make these heavily textured works that make us want to explore the fissures and cracks with our fingers rather than our eyes. Add in towers made from bricks and there's an earthiness and weight to his works that make us feel rather insignificant. BUILD THE HOT WALL: Place your hands on a giant steel wall and feel the heat emanating from it. 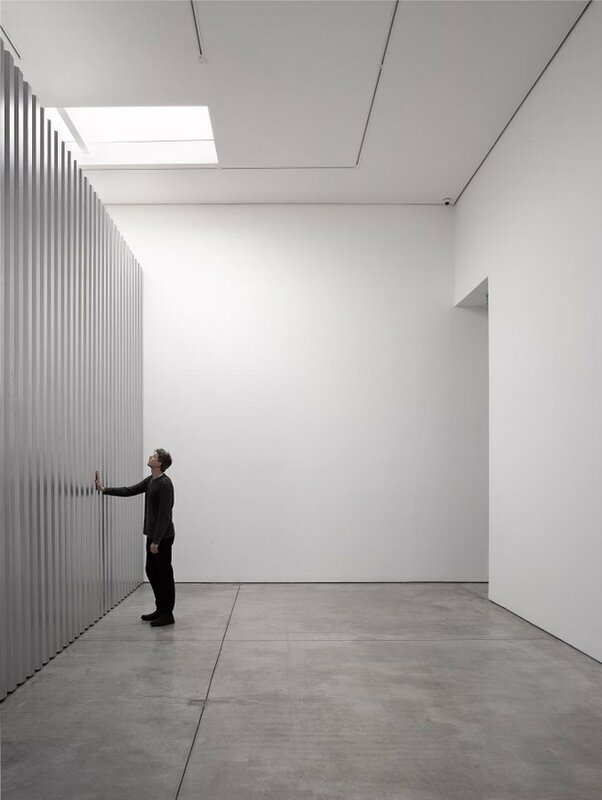 This wall spanning both floors cuts off about two thirds of the gallery. It references the massive server farms where all our data is kept and yet we can't see it. It's very relevant to today's world today where the worry about what data big tech companies know about us, constantly hangs in the air. 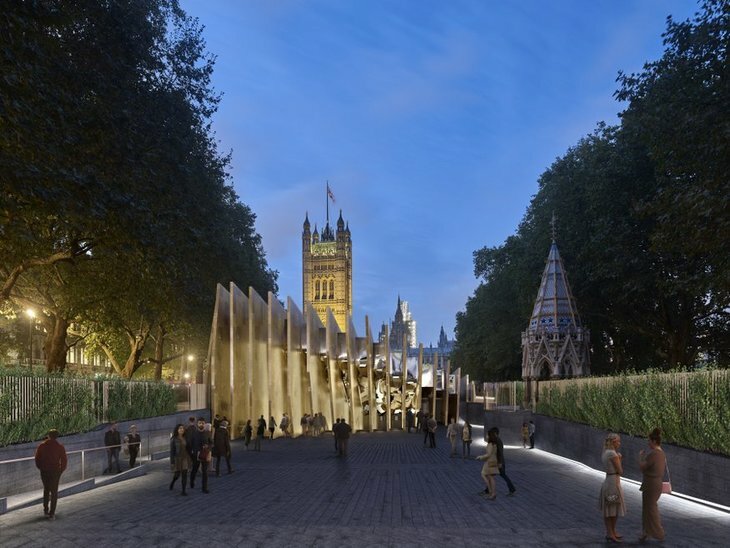 ARCHITECTURAL WONDER: From a massive cathedral for Ghana to the Holocaust memorial planned for Westminster, David Adjaye has selected seven impressive projects that his firm is involved in around the world. Each one takes from local cultural cues to create poignant and spectacular designs. It's great to see an architect who is more concerned with respecting varied cultures than placing his own stamp on a landscape. The exhibition design is superb with models, 3D renderings and a peaceful soundtrack to it all. This is how an architecture exhibition should be done. 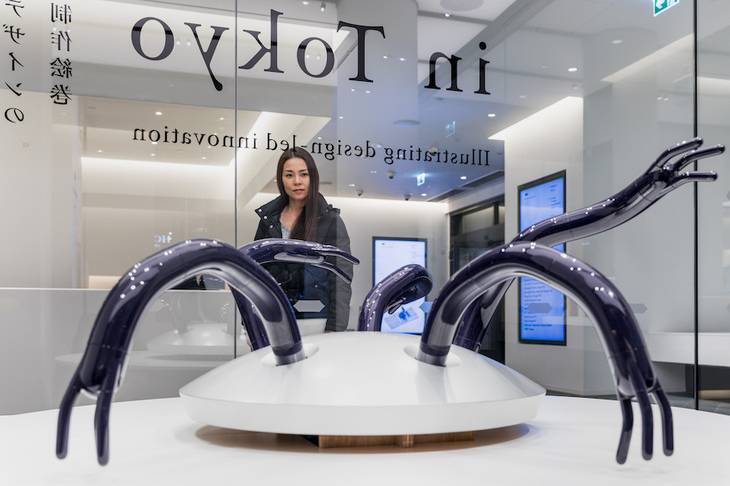 CREEPY TENTACLES: Automation, prosthetics to help amputees to sprint and a paper lizard that weighs more than we were expecting it to. There are lots of tactile works so we're able to get hands on with a synthetic baseball that feels surprisingly like the real one. One particular creepy works is made of robotic arms designed to move like human limbs. Japan House has had a truly eclectic line up of shows since it opened and this is another excellent example of it picking a unique subject for an exhibition. MELANCHOLIA: What causes us to be melancholic? This exhibition of art looks at the possible causes from disappointment in love to religious melancholy. 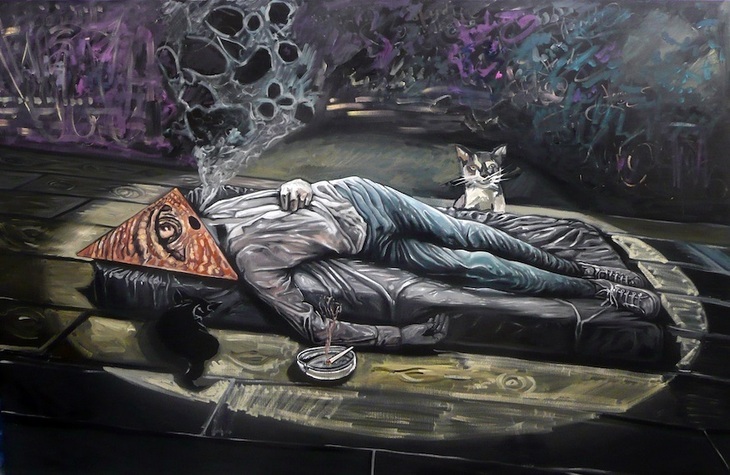 200 years of paintings right through to contemporary artists look at the origins and symptoms of melancholia. Whether it be an 1854 sketch of a chained man displaying 'raving madness' or contemporary work where the mind and brain are isolated in darkness. There are great stories in these works from the museum's collection and don't forget to see the fantastic wider museum while you're there. The Anatomy of Melancholy at Bethlem Museum of the Mind. Until 27 April, free. ★★★★☆ (Wednesday-Friday, and first and last Saturday of the month). 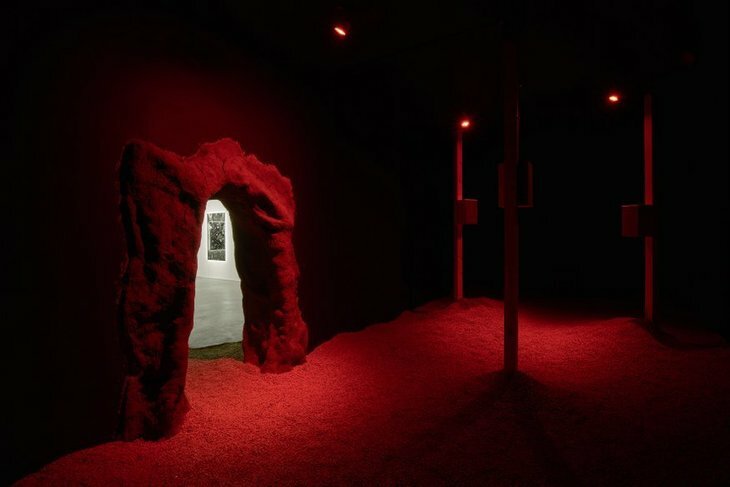 CAVES & COLONIALISM: Enter a darkened cave and listen to eerie sounds in a work looking at mining and the impact it has on the environment. It's unsettling standing and listening in the dark, and so it should be given the impacts mining can have on the world around us. The dimly photograms outside are a sufficiently unsettling accompaniment. 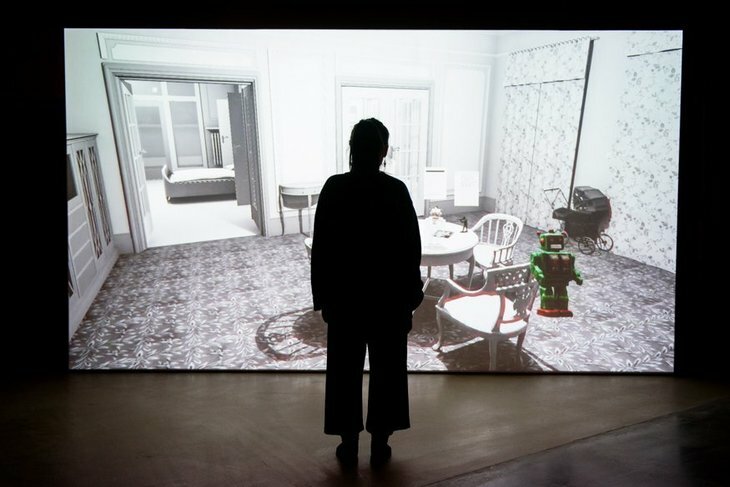 The works don't always capture the grand themes of colonialism and capitalism the artist has set out to, but it's still an engaging experience. LOVELY COLOURS: Landscapes full of searingly bright colours and voyeuristic views of naked men and women populate this perfect antidote to a grey winter's day. Alongside his contemporary Henri Matisse, Bonnard took Impressionism and experimented with it. 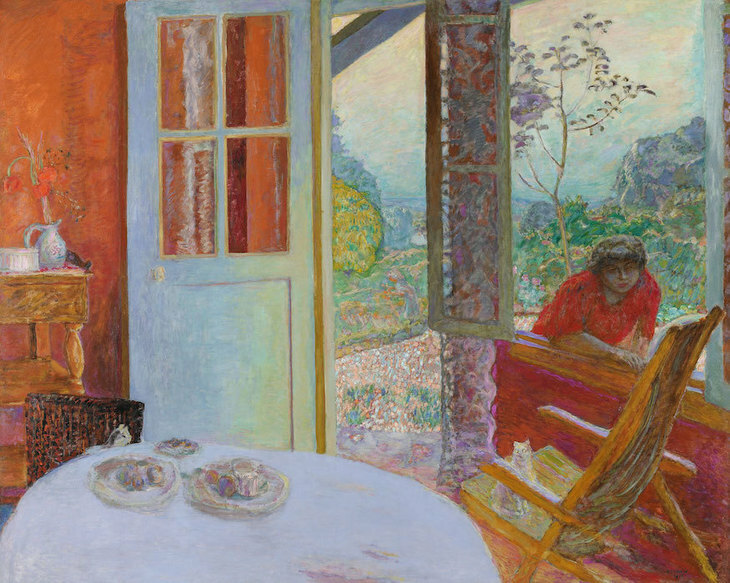 While Matisse revolutionised Impressionism, Bonnard was more of an evolution. While at times it may be racy, most of the work is pretty, but not sufficiently exciting. SIMPLE SCULPTURE: Simple shapes and lines form a delicate sculpture of a man and woman on a four wheeled vehicle. A large plaster totem is so polished that it's nothing but smooth lines. It's an ultra subtle and delicate exhibition that captures the simple elements of the human form. COSMIC LATTE: We're massive space nerds at heart, but our obsession can't stretch as far as artist Katie Paterson's. 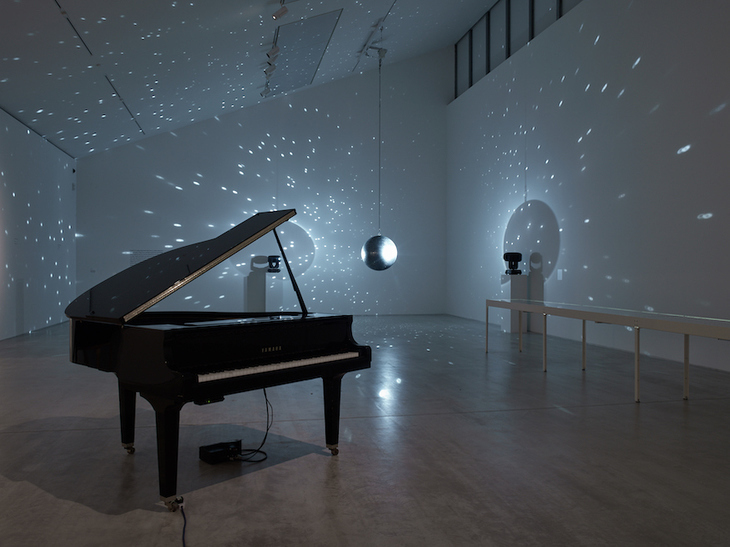 She projected Beethoven's moonlit sonata to the moon and a piano in the gallery plays back the recording that came back, complete with missing notes. Thousands of images of solar eclipses are projected onto a mirror ball so we're surrounded by them and there's a series of photographs charting the blackness of space. It's a cosmic exhibition and thoroughly enchanting.